Many thanks to Lisa Flynn for broadcasting on her Music in Chicago Show. 1pm: If you missed her show, here is the Still Life video recorded on April 7 – a different performance but still marvelous. On Music in Chicago hosted by Lisa Flynn at noon on June 8, you will hear the beautiful piece for oboe and strings Still Life by Gregory Hutter performed by superb oboist Amy Barwan and Camerata Chicago. 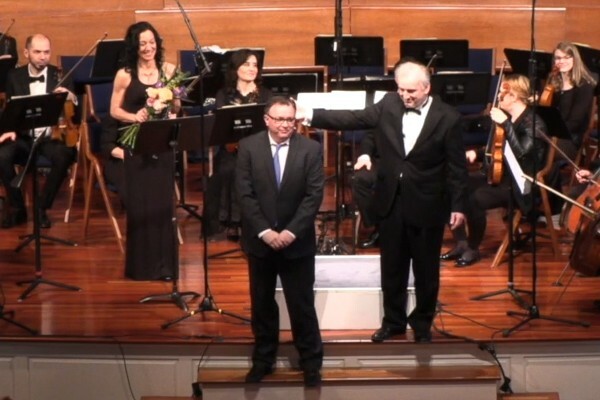 The recording is from our recent performance on April 7, conducted by Drostan Hall and recorded by Eric Arunas of WFMT. Pictured here with Camerata Chicago at the end of this performance is oboist Amy Barwan, composer Gregory Hutter and conductor Drostan Hall. 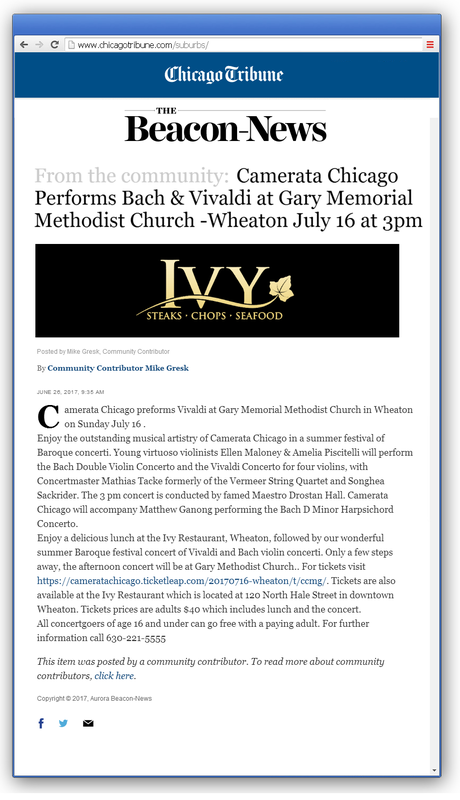 Wheaton Mayor Gresk wrote this article recently about our forthcoming Baroque Concerti Summer Festival! 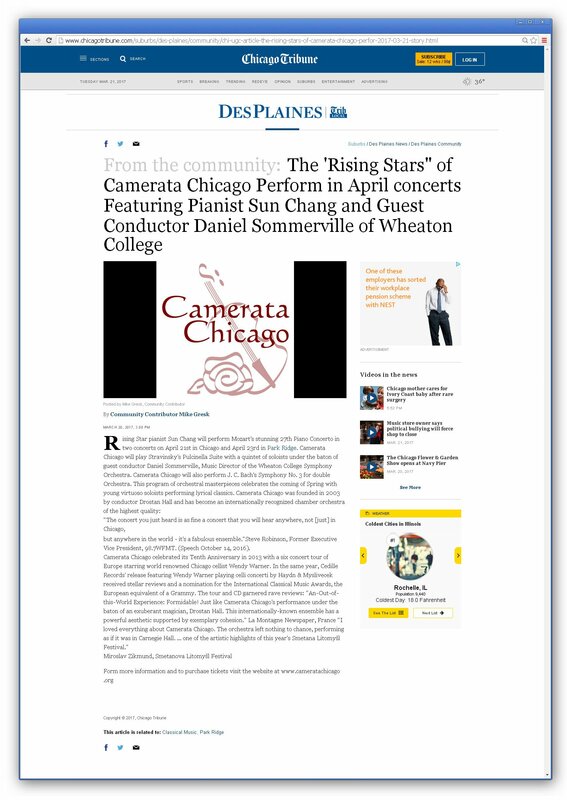 Wheaton Mayor Gresk wrote this article recently about our forthcoming Rising Star Series! We are absolutely delighted to be working with the splendid Joffrey Academy and the incomparable Wheaton College Artist Series. Tony Payne, the General Manager, has brought great commitment and steadfast enthusiasm to this venture. This marvelous collaboration represents an outstanding opportunity to combine orchestral repertoire with ballet at its finest. 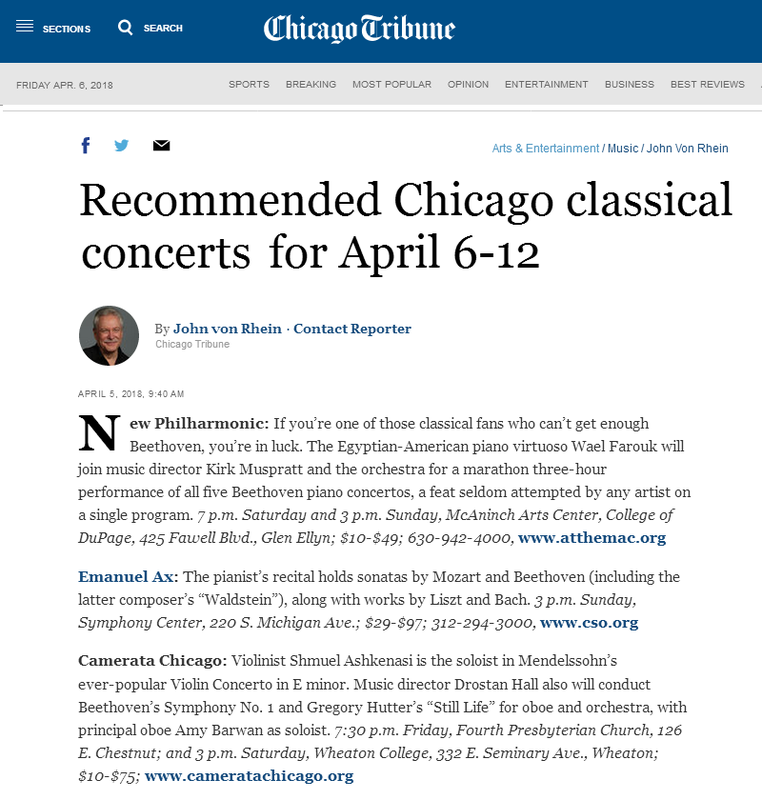 Drostan Hall, Music Director of Camerata Chicago, said “artistic excellence will emerge with the confluence of Joffrey Academy, Camerata Chicago and the Artist Series at Wheaton College. This will bring a unique concert experience to the audience and working together will be a great privilege”. This special collaboration will feature Mozart’s Symphony No. 25 in G Minor and Tchaikovsky’s Serenade for Strings on January 27, 2017 at the Wheaton College Artist Series. 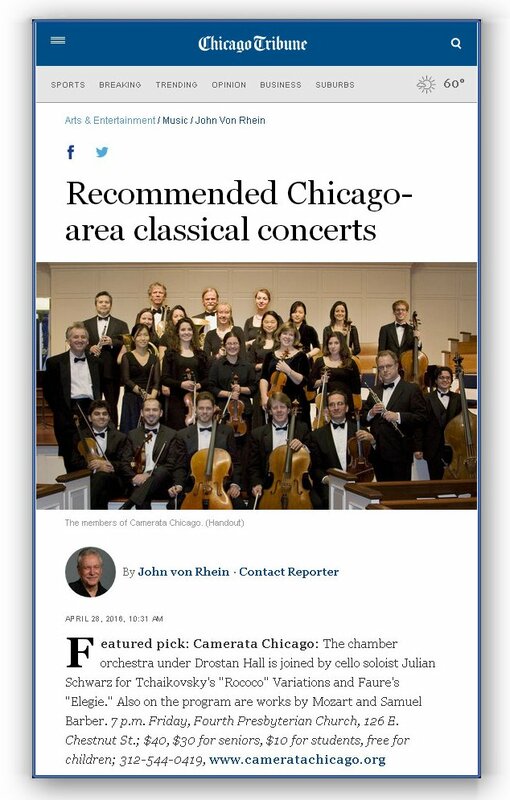 John Von Rhein of the Chicago Tribune has chosen Camerata Chicago as its ‘Featured Pick’ for our Rising Star concert tonight with Julian Schwarz. If you are planning on buying or want to learn about Phentermine from UK have a look at this Phentermine website to http://www.phentermine.org.uk/ buy Phentermine online or offline from United Kingdom.